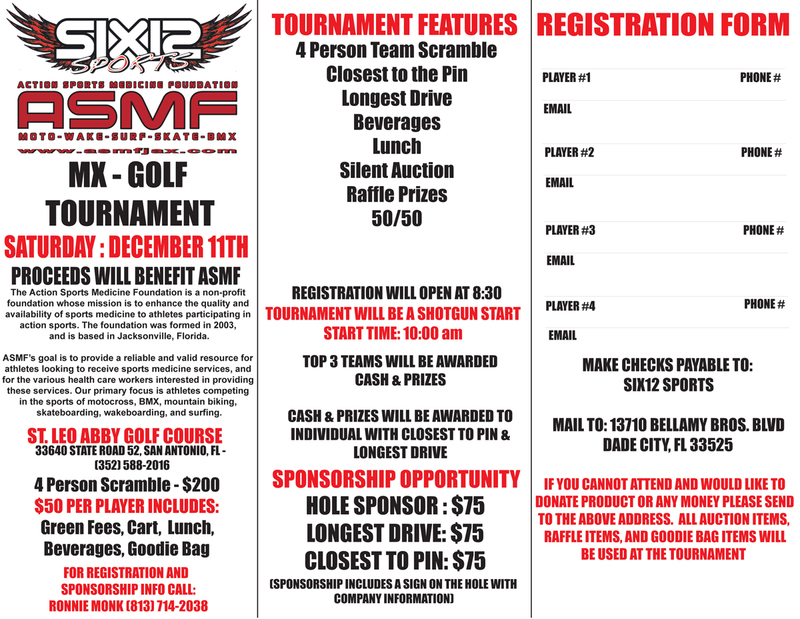 Dade City, FL – Saturday December 11th, SIX12 Sports will be hosting its Inaugural MX-Golf Tournament at the St. Leo Abbey Golf Course in St. Leo, Florida. The tournament will be benefiting the ASMF. The Action Sports Medicine Foundation is a non-profit foundation whose mission is to enhance the quality and availability of sports medicine to athletes participating in action sports. 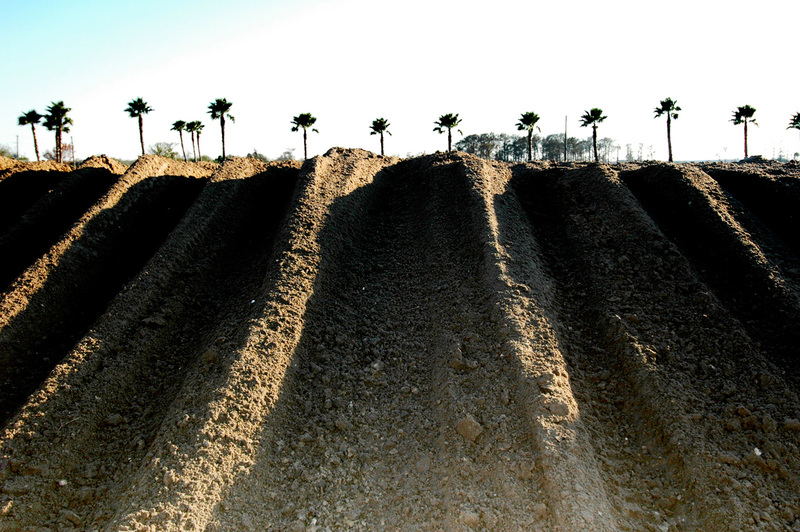 The foundation was formed in 2003, and is based in Jacksonville, Florida. 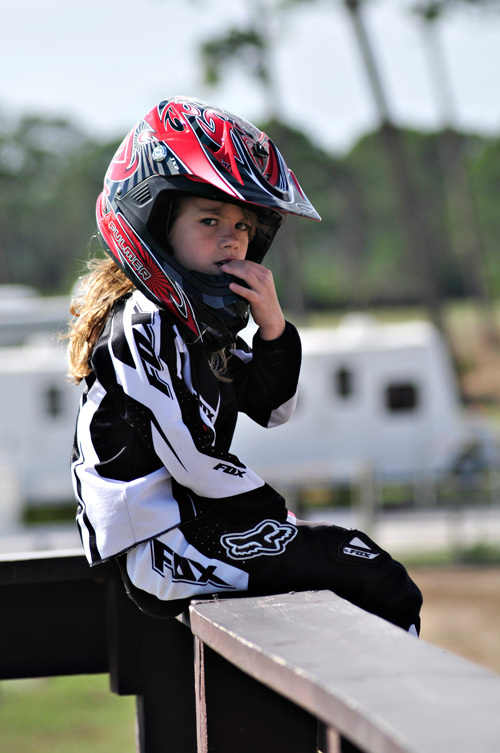 Their goal is to provide a reliable and valid resource for athletes looking to receive sports medicine services, and for the various health care workers interested in providing these services.ASMF’s primary focus is athletes competing in the sports of motocross, BMX, mountain biking, skateboarding, wakeboarding, and surfing. This year’s golf tournament offers numerous opportunities for you to support ASMF. The format will be a 4 man scramble over 18 holes. You can be a part of the tournament as an individual golfer, or bring an entire 4 man team, sponsor a hole, Longest Drive, or Closest to the Pin. Also donating product for the auction, raffle or goody bag, there’s a chance for everyone to get involved. The cost for individual players is $50 per person which includes green fees,cart, goody bag, beverages and lunch. If you’d like to get involved in any of these opportunities, we encourage you to contact us via email or phone. Information on time, format, sign up for the different levels of sponsorship and more can be found on the Registration Form and Tournament Info PDF, or email us at SixTwelveSports@aol.com or you can give usa call at 813-714-2038. Entries close December 7, 2010, so please take a moment to let us know how you’d like to get involved. Thank You and we look forward to the event! 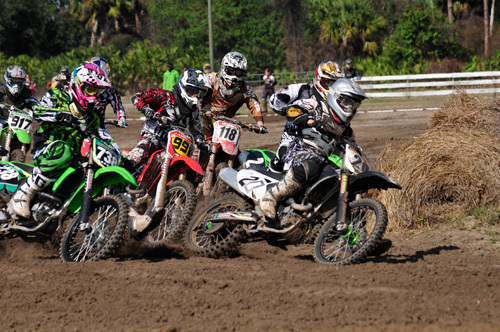 Dade City, FL – Saturday December 11th, SIX12 Sports will be hosting its Inaugural MX-Golf Tournament at the St. Leo Abbey Golf Course in St. Leo, Florida. The tournament will be benefiting the ASMF. The Action Sports Medicine Foundation is a non-profit foundation whose mission is to enhance the quality and availability of sports medicine to athletes participating in action sports. The foundation was formed in 2003, and is based in Jacksonville, Florida. Their goal is to provide a reliable and valid resource for athletes looking to receive sports medicine services, and for the various health care workers interested in providing these services. ASMF’s primary focus is athletes competing in the sports of motocross, BMX, mountain biking, skateboarding, wakeboarding, and surfing. This year’s golf tournament offers numerous opportunities for you to support ASMF. The format will be a 4 man scramble over 18 holes. You can be apart of the tournament as an individual golfer, or bring an entire 4 man team, sponsor a hole, Longest Drive, or Closest to the Pin. Also donating product for the auction, raffle or goody bag, there’s a chance for everyone to get involved. The cost for individual players is $50 per person which includes green fees, cart, goody bag, beverages and lunch. If you’d like to get involved in any of these opportunities, we encourage you to contact us viaemail or phone. Information on time, format, sign up for the different levels of sponsorship and more can be found on the Registration Form and Tournament Info PDF, or email us at SixTwelveSports@aol.com or you can give us a call at 813-714-2038. Entries close December 7, 2010, so please take a moment to let us know how you’d like to get involved. Thank You and we look forward to the event! Click image below for a larger version. What’s up everyone? 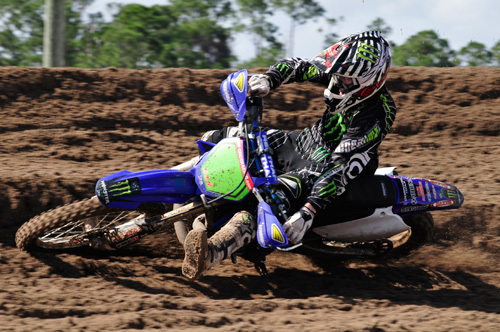 I’ll tell you what’s up – SOUTH FLORIDA RACING!! 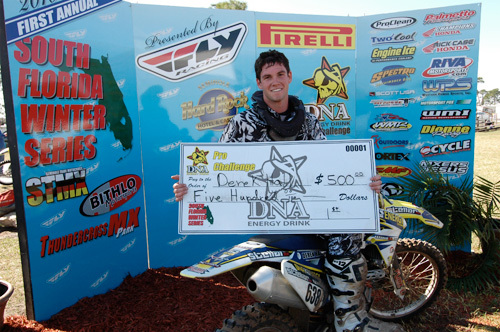 Derek Hall continues to dominate the DNA Pro Challenge with another win! Such an awesome day at the track. Early in the day the weather was real crappy and dark, but around 11:00 or so the sun was out the rest of the day basically. Tim Ferry was roaming the pits, ASMF trackside, FLMX in house gathering content for the magazine, WMI trackside, and the gates were packed with almost every drop. 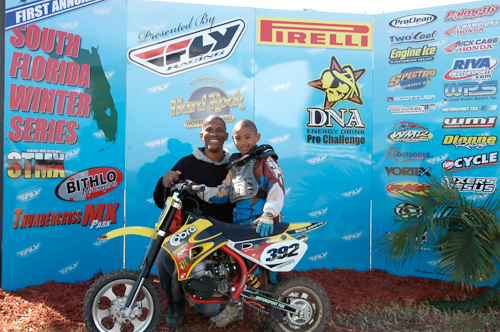 Daniel McCullan dominated the 50cc 7-9 class with two first place finishes. Donnie Delgado #10 and Mark Beamer #5 battled for the lead in the Plus 40 Class, but Delgado came out on top in both motos. 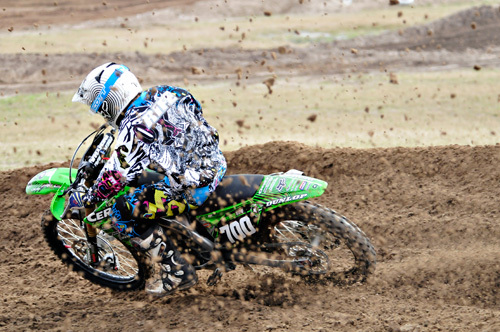 Brinsley Dyess #95 on a Kawi dominated the Women’s Class today. She is looking very comfortable on the big bike. 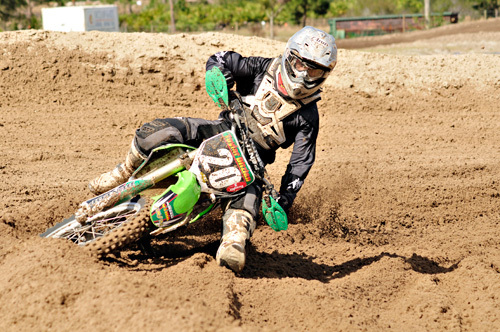 Adam Cianciarulo #92 rode flawlessly all day with the overall in Youth 12-15 and Supermini 10-15 classes. 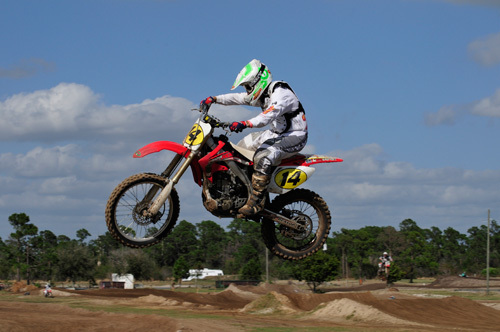 Ian Chia #414 placed first overall in the 250 B Class with Dustin Jensen #101 and Antony Carreiro #991 on his tail. Youth 16-24 Brandon Westberry #738 grabbed the hole shot in the first moto, but not far behind was Taylor Ditzian #20 and Antony Carreiro #991. 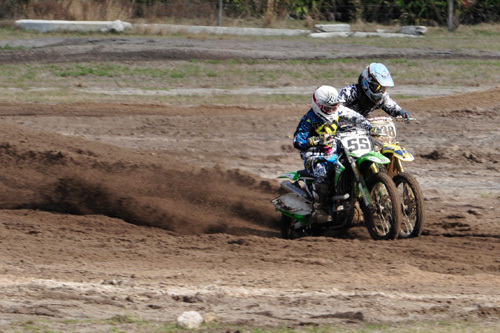 Second moto Taylor Ditzian got the hole shot with Brandon and Antony following behind. Brandon passed Taylor, and after the first lap Taylor was back in first, but soon was passed again by Brandon. 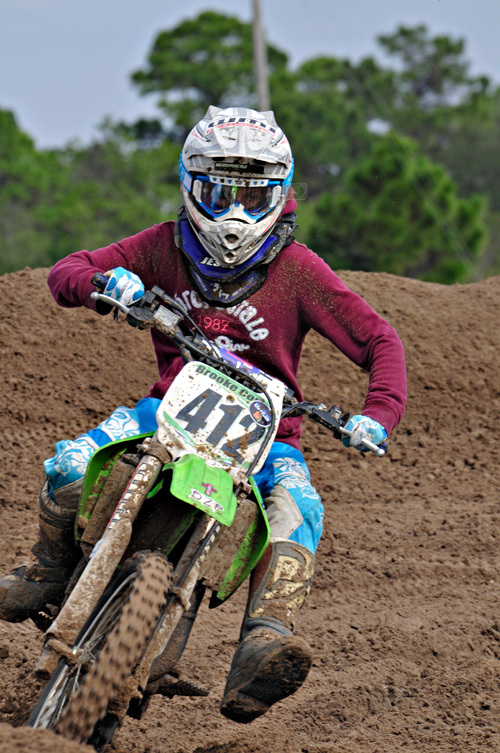 Brandon placed first in both motos for the overall win. In the 85 Beginner Class first moto Mike Barto #12 got the hole shot followed by Adam Pankoke #7, but overall finishes for the day, in order was Mike Barto #12 1st, Stefano Mesa #137 2nd, and Adam Pankoke #7 placing 3rd overall. The 250C class had a lot of entries with Alex Nicol #694 getting the hole shot in the first moto followed by George Warren #177, and Daua Andreoli #118. They swapped around during the race and George Warren ended up winning the first moto with Daua Andreoli and Alex Nicol second and third. Overall however, it was Daua, George and Alex. 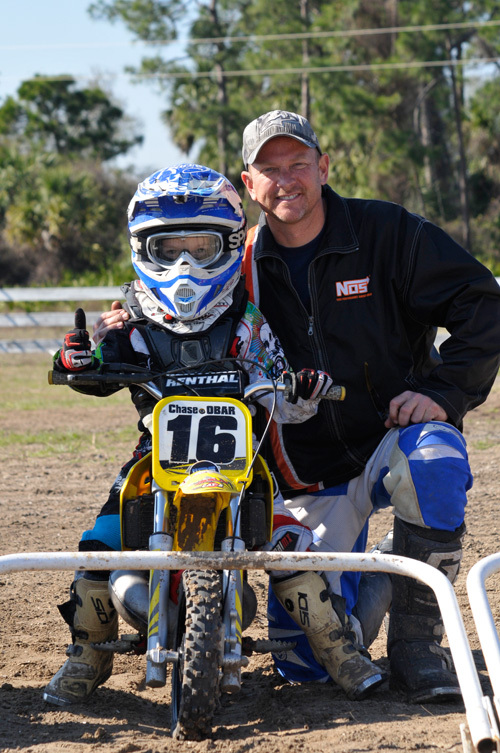 JR Mini 85cc 9-13 Class Jon Ames #17 from Arizona got the hole shot in the first moto and never looked back. Bradford Young #124 had a bad start and was in the back of the pack. Brad pushed his way through the pack to finish in second place in the first moto, followed by #15 Elias Chain from Mexico. Overall was the same, Jon – Bradford – Elias. The DNA Pro Challenge race was just as exciting as the prior weeks. Out front was Derek Hall and Shawn Rife who went back and forth basically the first half of the race. Derek pretty much kept the lead for the second half of the race, but in the last lap Derek made a small mistake, went off the track just a bit, and this gave time for Shawn to catch up just enough to be on his back tire. Shawn was catching him and I thought he was actually going to pass Derek, but Hall would not allow that. Derek won the Pro-Challenge today, and 500.00! I arrived at the track around 11:00 today, and it was surprisingly warm outside. Party cloudy, or partly sunny, don’t know the difference, oh well. 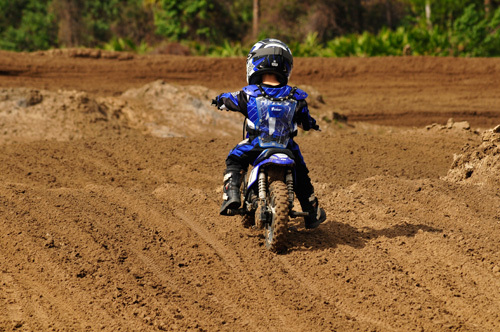 It appeared to me that the track was in excellent shape, you riders tell me? 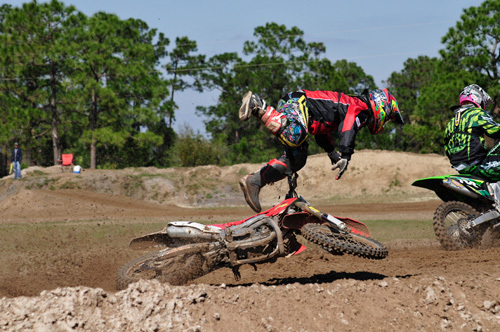 Dalton Yingling took a spill today, hope he is okay. Usual suspects were out practicing today. Taylor Ditzian, Dalton Yingling, Antony Carreiro, Skylar Demuth, Brinsley Dyess, Bradford Yound, Joey Keel, all the Fasnacht’s, Jon Ames, Buchakjian’s, Jeremy Wahlstrom, Steel Gately, Ian Chia, to name a few….